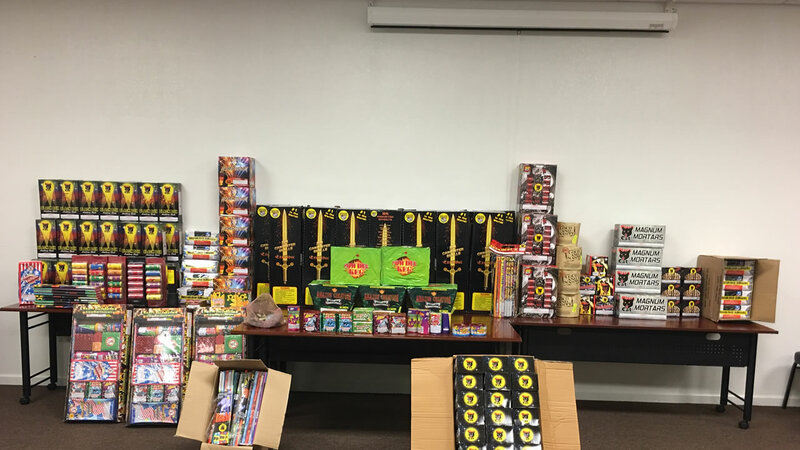 EAST PALO ALTO, Calif. (KGO) -- Law enforcement officers seized 600 pounds of fireworks Friday morning from an East Palo Alto man suspected of dealing them ahead of the Fourth of July holiday, police said. "The use of fireworks in our community causes a variety of public safety issues," police Chief Albert Pardini said in a statement. "If there was a fire in this residence, the explosion and fire would have destroyed the house and likely spread to the adjacent houses causing a significant damage and jeopardizing the lives of many people," Pardini said.